Lapis Luxe | Zonyxa. Unique and contemporary jewellery for Work. Love. Play. 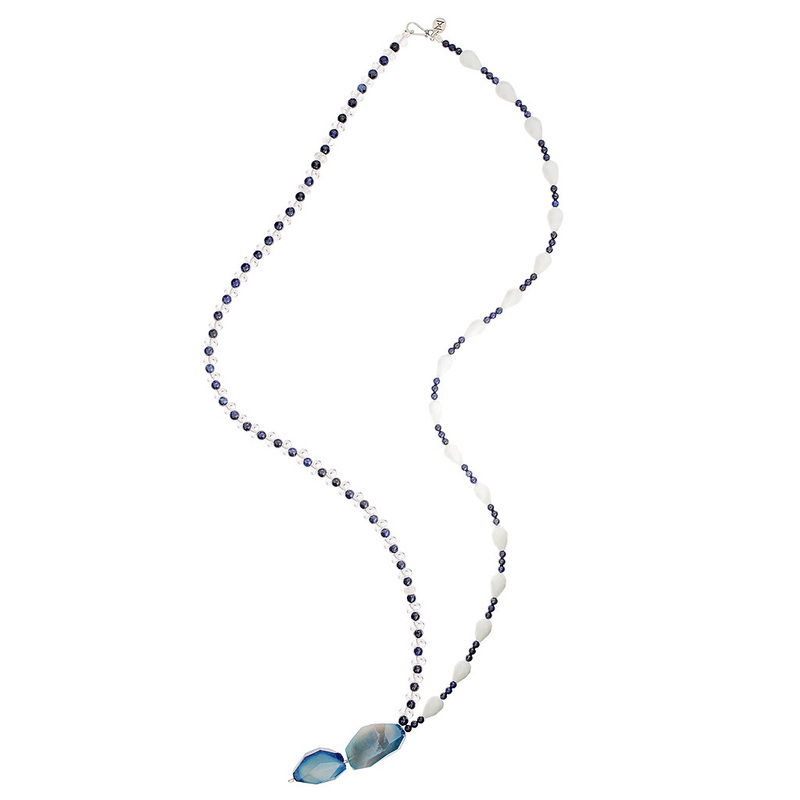 One of side, faceted drops of white agate and smooth rounds of lapis lazuli, on the other slightly bigger balls of lapis lazuli combined with the delicate rondel of ice quartz, with stunning free-formed blue sky agate as a pendant. This long piece lift your mood no matter where, when and or what you are wearing. Material: Lapis Lazuli, white, sky agate, ice quartz.